Learn more about the Copper Scroll Project and it’s potential impact on finding temple treasures and a rebuilt temple by clicking here. Originally published at Breaking Israel News – reposted with permission. “The Torah commands us to perform the mitzvah (Torah commandment) in order to be in a ritually pure condition,” Rabbi Ariel explained to Breaking Israel News. “This is necessary for us to engage in anything that is holy or sanctified. It is important to understand that impurity is not any type of physical dirt or something. For most ritual impurities, bathing in a mikveh (ritual bath) is sufficient. “The lack of ashes from the red heifer has prevented us from performing many Torah commandments,” Ariel explained. “For example, today, when a Jew makes bread, they separate out a small amount for the mitzvah of hafrashat challah (separating out a quantity of dough for the priests). Today, the dough is disposed of. This is done because of the ritual impurity of the person making the dough and of the Kohanim (Jewish men of the priestly caste). If we can reinstate the ritual of the red heifer, this dough can be baked and given to the Kohanim to eat. This baked product is one of the 24 Divinely ordained gifts designated for the kohanim. There are many commandments like this that we are unable to perform due to the lack of the ashes of the red heifer. 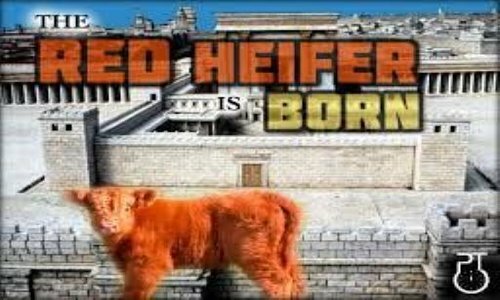 “There is a great misconception concerning the red heifer,” Rabbi Ariel said. 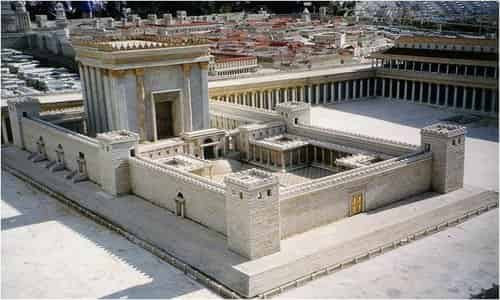 “Some people believe that by reinstating the ritual of the red heifer, we will bring the Messiah or reinstate the Temple service. This is an incorrect understanding. God does not do my bidding. We do His bidding. The number one sign of the Second Coming of Jesus Christ is the convergence of all the signs He said to look for. Jesus said, “When you see all these things take place, look up! Your salvation draws near” (Luke 21:28). What are the things Jesus and the prophets said to look for? 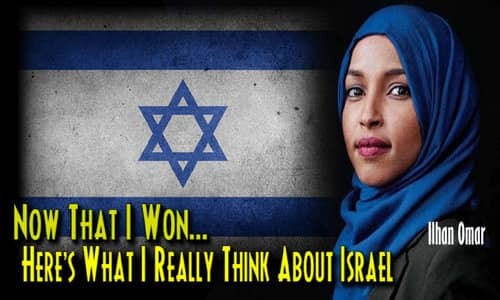 Israel back in the land (Jeremiah 23:7-8)… The Jewish people back in control of Jerusalem (Luke 21:24)… The Gospel being preached to the whole world (Matthew 24:14)… And more… Today, we see these signs. Because we do, we can be confident we live in the season of His return. 2018 saw a continuation of the recent developing alliance between Russia, Iran, and Turkey. Russia and Iran have grown closer and closer since the mid-1990s. Their joint occupation of Syria in the aftermath of the Syrian civil war has only brought further cooperation. Yet, as recently as 2015, Turkey looked like an adversary of both nations. In November of that year, Turkey shot down a Russian jet that strayed into its airspace. Far from allies, the two nations looked more like they were on the verge of war than friendship. But things have since changed. Turkish President Erdogan has consolidated his grip on power. He now antagonizes the United States while making friendly visits with Vladimir Putin. Pursuing its own interests, Turkey is now a major player in the Syrian conflict. Along with Russia and Iran, they’ve effectively carved Syria into various spheres of influence. The result is a once unlikely alliance formed on Israel’s northern border. These are the very same nations Ezekiel said would invade Israel from the north in “the latter days” (Ezekiel 38:8). Iran has been belligerent toward Israel for decades. Now, Russia and Turkey are too. Russia blames Israel for a September 17 incident that led to Syrian forces downing a Russian spy plane. In May, Turkey told Israeli ambassador Eitan Naeh to leave the country. Since then, more Israeli officials have left Turkey, and the Turkish consul general has been expelled from Israel. Israeli relations with all three countries are suffering a clear downtrend. This year featured a number of news stories on massive advances made in the field of artificial intelligence (AI). One example was China’s Yitu Technologies, a company at the forefront of AI development. Yitu created a technology called Dragonfly. Dragonfly can search and analyze billions of photographs and locate a single person in a matter of seconds. Connected to cameras in the Shanghai Metro, it identified over 500 “criminals” in a three-month period. It’s so powerful it can recognize people wearing disguises. And it can identify people using pictures that are more than 30 years old. In the near future, technologies like Dragonfly will be commonplace. Large tech companies like Facebook, Google, and Apple seem willing to give into China’s demands. Despite Google’s mission statement to “do no evil,” several media outlets report they’ve been working on a search engine to comply with the Chinese government’s strict surveillance and censorship demands. Similarly, Facebook reportedly built a censorship tool in an effort to appease the Chinese government and gain access to its one billion Internet users. As advanced technology spreads, it will become impossible for individual citizens to stand up to oppressive governments – especially if they’re aided by large multinational corporations. Just think of the power AI gives the Chinese government. As Dragonfly connects to every camera in China, no one will be able to hide. While this is good for catching criminals, not every person sought by the Chinese government is a criminal. Chinese dissidents, political activists, ethnic minorities, Christians, and other “enemies of the state” will have nowhere to hide. And it’s quite unlikely China will be the only state to take advantage of this technology. In one form or another, every nation on earth is already making use of AI. Jesus said several signs will increase like birth pains before He returns (Matthew 24:8). This means those signs will increase in frequency and intensity before the Second Coming. One of the signs Jesus cited is earthquakes (Matthew 24:7). As mentioned in my book Signs of the Second Coming, we’ve seen a marked increase in the frequency of high intensity earthquakes over the past two decades. From 1900 to 1950, the world only registered six 8.0 magnitude earthquakes. Since 2010, we’ve had ten. Earlier this year, more than 70 earthquakes hit the Pacific Ring of Fire in a 48-hour period. The earth is preparing for the King’s return! In a June 23, 2016 referendum, the people of the United Kingdom voted to leave the European Union (EU). The media labeled this British exit from the EU “Brexit.” Many predicted an immediate collapse of the EU. They said further exits would likely follow. Yet 2 1/2 years later, the EU is still together and the UK hasn’t left. This should come as no surprise. Over two thousand years ago, the prophet Daniel described the initial stages of the Antichrist’s global empire. He described it as an alliance of weak and strong nations (Daniel 2:42). He said it would be a divided alliance, loosely held together (Daniel 2:41). This is what we see today with the EU. Since its inception, the EU has been an odd collection of governments, economies, currencies, and militaries. EU nations include some of the world’s largest and smallest economies. These same nations have some of the world’s largest and smallest militaries. From the Schuman Declaration in 1950 to the Treaty of Lisbon in 2007, the rise of the EU has been marked by a struggle to agree on important issues. These include arguments over a single currency (the United Kingdom and Denmark opted out), disagreements over how to handle debt crises (the Greek bailouts), and disputes over open borders (the Syrian refugee crisis). Each step along the way, the EU struggled to survive. Yet it has survived. If the EU is the forerunner to the empire Daniel described, then it will continue to survive. And its power will grow until it envelops the whole world. The Bible says in the end times “the love of many will grow cold” (Matthew 24:12). “People will be lovers of themselves and their money. They’ll be “boastful and proud, scoffing at God, disobedient to their parents, and ungrateful. They’ll consider nothing sacred. They’ll be unloving and unforgiving – slanderers with no self-control. They’ll be cruel and hate what is good. They’ll betray their friends, be reckless, prideful, and lovers of pleasure rather than lovers of God. They’ll act religious, but reject the power that could make them godly” (2 Timothy 3:2-5). While you can find examples of evil in every generation, ours features some of the most vile behavior since the days of Noah, when the thoughts of people were nothing but “continuous evil” (Genesis 6:5). 2018 featured a number of examples. In February, Nikolas Cruz killed 17 students and school staffers at Marjory Stoneman Douglas High School in Parkland, Florida. It was the deadliest mass shooting of the year in the U.S., and it made national headlines. But not every story of evil makes headlines. Also in February, a woman in Schenectady, New York got upset after an argument and threw her baby at a New York State trooper. She was arrested and charged with disorderly conduct and endangering the welfare of a child. She wasn’t alone. It was a year where the love of many grew cold for their own children. For example, in August, authorities arrested Chris Watts for killing his pregnant wife, Shanann, and their two daughters – ages 3 and 4. Then, he threw his wife in a shallow grave and stuffed his daughters’ bodies in vats of oil. What could be more evil? These are just a few news stories from the past year. But unfortunately, they aren’t isolated incidents. In fact, stories of aberrant and criminal behavior have become so commonplace that most of them aren’t reported in the media. Instead, we hear statistics about the number of rapes, murders, and assaults year to date, and whether or not this year is worse than the last. The world is saturated with violence – just as in the days of Noah (Matthew 24:37). Look for increasing cooperation between Russia, Iran, and Turkey. Look for a strengthening EU, even as the alliance remains volatile. Watch for a continued increase in AI capability. Look out for the continuing degeneration of society. And don’t be surprised if we have one or more 8.0 magnitude earthquakes. All of these things and more will probably mark 2019. This is why the #1 thing you should look for is the return of our Savior. 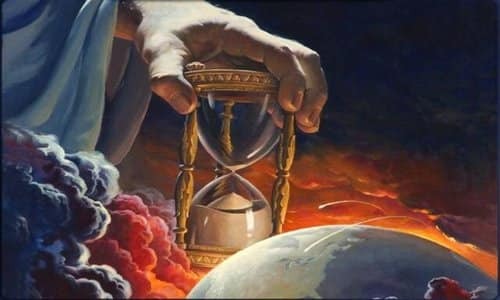 As we enter the new year, all the signs scream, “Jesus is coming! The Bible strictly forbids people from interpreting omens (Deuteronomy 18:10-12). Interpreting omens is the attempt to extrapolate supernatural messages through ordinary and regular things. This hasn’t stopped Anne Graham Lotz from arguing that her cancer diagnosis is God’s sign to Israel. The answer, of course, is no. People at the age of 70 get cancer. In fact, the CDC says that the cancer rate of the typical 70-year-old being diagnosed at some point in their life is 31.59% and dying of cancer is 18.56%. Hundreds of thousands of people Graham’s age are diagnosed with cancer every year, and never does it bode well or poorly for the nation of Israel. No. That is not possible. Furthermore, it is horrendously stupid and narcissistic. In the editorial, Lotz argued that being given cancer in her 70th year had something to do with Israel’s 70th year. What she was living out, Lotz argued, Israel was going to have to live out. Ergo, Israel was about to go through a time of suffering like Lotz. By announcing this delivery, to be made in the coming two weeks, the Russian military appears to be on the side of Iran and hostile to Israel, neither of which is part of President Vladimir Putin’s approach to the Middle East or, for that matter, the future of Russia. The Israeli-Russian deal instituted a “deconfliction” system so that Israel could maintain certain red lines in Syria without encountering Russian fighter aircraft or missiles launched from Khmeimim. The deal was recently upgraded to keep Syrian, Iranian, and Hezbollah forces away from the border with Israel. Other Israeli operations appear to have targeted Iranian troops — including IRGC officers. Last July, Israel allegedly destroyed a Revolutionary Guard center near Aleppo. In January 2015, Israel hit a convoy, killing six Hezbollah soldiers, and Mohammad Ali Allahdadi, a Brigadier General in the Quds Force of the IRGC. One possible option for Israel is to surround Iran’s military forces including proxies and force Hezbollah to fight with them. In this way, both forces could potentially be defeated, even liquidated. Israel has been carrying out extensive military training and planning, as well as military drills that even include a war scenario where Russia is directly involved. Last August, National Security Adviser John Bolton said that Putin would like to see the Iranians leave Syria, but lacks the influence to get rid of them (whether that is true or not, it is a signal from Putin). 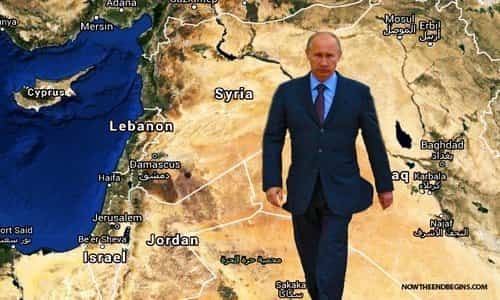 Putin has sent other signals about his concern with the Iranians, because Iran could very well threaten Russia’s interest in Syria or force Russia into a war it does not want or need. This is the bigger war that is potentially brewing in Syria — mostly concerning Israel and Iran. The Russian response to losing its Il-20M aircraft to Syrian fire appears to bring that war closer instead of postponing it, and could jeopardize Russia’s ability to remain in Syria. Israeli Prime Minister Benjamin Netanyahu was quick to telephone the Russian president about the incident. Shortly afterwards, Putin made it clear that the shooting down was “a chain of tragic accidental circumstances,” and not Israel’s fault. He also directed his military to keep the deconfliction mechanism in place. An Israeli delegation in Moscow provided a detailed account of its mission in Syria on the night the plane was shot down. Even so, Russian Defense Minister Sergei Shoigu announced Russia was moving its S-300 air defense system to Syria. Shoigu noted that Russia had suspended the delivery of the S-300 system in 2013 “at the request of Israel.” He said Syrian gunners were already trained and the S-300 would arrive in Damascus within a fortnight. The minister made clear this was retaliation. A similar system in Syria may take time to become operational, despite the training back in 2013 of Syrian operators — unless, of course, the Syrians bring in Iranians to do it for them. This would be a game changer and could be enough to trigger a broader war. That would be bad news for Putin, who wants to stabilize Syria, retain his bases there, and avoid more war. Putin’s strategic objective would seem to be to work a deal, principally with the United States but with Israel’s agreement, that would recognize Russia’s long-term interest in Syria as a “guardian” of whatever future Syrian government is agreed to. Iran is a big sticking point, and the S-300 could make matters much worse. The use of weaponized drones by lone individuals and small groups–some acting as proxies of nation-states–is no longer just a concern for the future, but very much for the present. The Department of Homeland Security and the FBI identified have declared unmanned aerial systems, or drones, as one of the greatest national security threats to America — rating it as severe a concern as cybersecurity hacks, critical infrastructure attacks, and terrorism. Civilian drones pose a “steadily escalating threat,” as the devices are likely to be used by terrorists, criminal groups or drug cartels to carry out attacks in the U.S., FBI Director Christopher Wray told a Senate committee. “Terrorist groups could easily export their battlefield experiences to use weaponized” drones, Wray said in written testimony for a hearing of the Senate Homeland Security and Governmental Affairs Committee. Wray’s comments, his most forceful to date on the threat from drones, come as U.S. law enforcement and homeland security agencies have just obtained legal authority to monitor drone communications and to disable them in extreme cases as a result of such concerns. “The FBI assesses that, given their retail availability, lack of verified identification requirement to procure, general ease of use, and prior use overseas,” drones will be used in an attack in the U.S. including “a mass gathering,” Wray said. 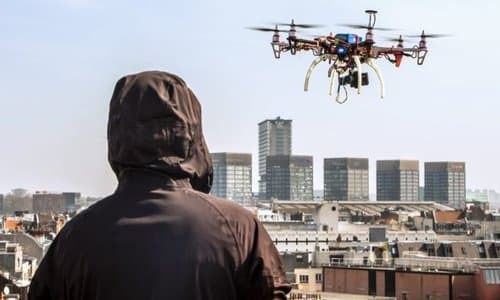 The possibility that drones could be used to disperse deadly agents or viruses over public gatherings is a harrowing prospect. Even if a drone attack fails to result in large numbers of fatalities, the attempt could still achieve an attacker’s goal of perpetuating the psychological dimension of terrorism. Drones are already used by transnational criminal syndicates and drug cartels. 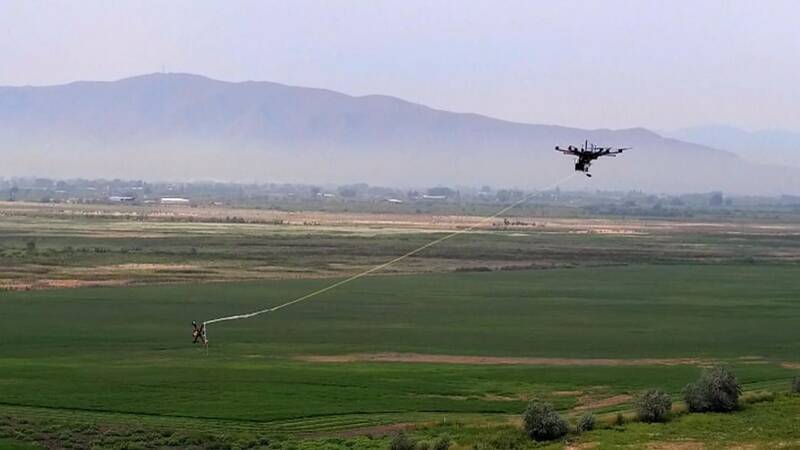 On the U.S.-Mexico border, drones are being used to spy on federal law enforcement operations and smuggle contraband through the sky. The first drug smuggling incident via drone was documented in Nov. 2015. Now, it’s a daily occurrence in some regions of the southern border, but it’s rarely reported because they are unable to seize the devices. Arrests are rare. Many countries are now using armed drones in combat–Nigeria, Pakistan, and Turkey have recently done so–the chances for sophisticated drone technology getting into the wrong hands increases exponentially. If a terrorist group can steal or purchase a drone from a rogue state or corrupt military or intelligence officials, then they could rely on the myriad online videos posted that essentially demonstrate how these unmanned systems could be used to conduct an attack. In Syria, the Islamic State has successfully used drones to conduct surveillance and reconnaissance in addition to carrying out offensive actions like dropping a grenade on an adversary’s military base. The most well known drone attack was the recent attempt to assassinate Venezuelan President Nicolas Maduro. That the drones were able to get so close to a world leader at a public outdoor event in Caracas, Venezuela, speaks to how easy drones are to use–and how difficult they are to defend against. Fighting back back can be difficult, since any item falling out of the sky — especially one with spinning wings — can pose a threat to the public. That means it’s not always possible to simply shoot them down. In a move that can only be interpreted as an intended punishment against Israel, Russia’s Defense Minister Sergei Shoigu said Moscow would transfer the system, as well as electronic warfare systems, to Syria’s air-defense units, arming them with advanced weapons to use against the Israeli Air Force (IAF). A number of initial conclusions can be drawn from Russia’s announcement. Syria’s airspace is already the most crowded in the world with air-defense systems. President Bashar Assad’s regime is currently armed with a range of Russian-made surface-to-air missile batteries (though it lost around half of them to Israeli strikes in recent months). Assad has been eyeing a purchase of the more advanced S-300 systems for years. Arming Assad with the S-300 will increase the already formidable threat to Israeli jets that are out there, enforcing Israel’s red line against Iran’s military expansion. It could embolden the Syrian regime to fire even more aggressively at Israel’s air force. The good news, however, is that Israel is no stranger to the S-300 system. It already exists in Syria since Moscow deployed it–and its more advanced version, the S-400–to protect Russia’s own bases and port. Despite the advanced radars of these systems, it appears as if the IAF has learned how to operate without being detected. In addition, the growing Israeli squadron of stealth F-35 fighter jets, which are designed for just these kinds of missions, should be able to penetrate heavily guarded airspace and lead future missions against Iran’s activities. Israel’s use of long-range standoff weapons, which allow jets to strike targets without needing to necessarily enter Syria’s airspace, is also an important ability. Although the threat is growing to Israel’s freedom of operation around Syria, the IAF is capable of working around it. The fact that Iran has already taken hold of the S-300, and used it to defend its nuclear sites, also likely served as a good reason for Israel to figure out ways of overcoming the system. 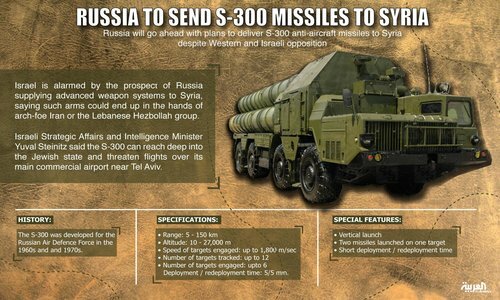 However, what is less encouraging is the fact that the S-300 system in Syrian hands can be used as an offensive weapon to threaten Israel’s civilian air traffic. Because of its long range, the Syrians can use the S-300 to watch, and theoretically target, any commercial flight coming in to land or taking off at Ben-Gurion International Airport. This enhancement to Syria’s ability to threaten Israel is an explosive development, and it is not one that Israel will necessarily choose to live with in the future. The close relationship that exists between the Assad regime, Iran and Hezbollah also means that Russia has in effect rewarded the Iranian-led radical axis, and moved closer to it by choosing to punish Israel and by ignoring Iran’s dangerous actions that led to the downing of the Russian plane. In its effort to defend the Assad regime, Russia is trying to deter Israel and get Jerusalem to scale back its military campaign against Iran’s activities in Syria. Yet Israel’s active-defense campaign is a critical preventative policy. It is the only thing standing in the way of Iran’s plan to encircle Israel with precise missile arsenals, pointed at Israel’s population centers and strategic sites. The United States, on the other hand, as the world’s leading military superpower, can take a far stronger position in support of its Israeli ally, when dealing with Russia’s role in the Middle East. Originally published by JNS.org – reposted with permission.